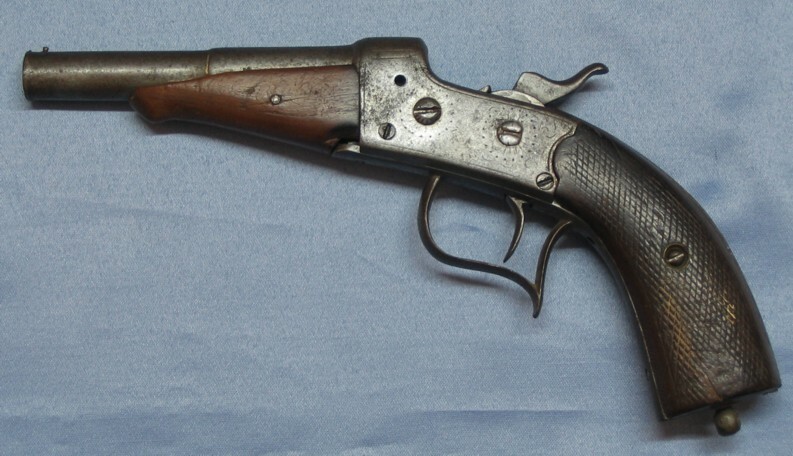 Spanish Constabulatory-style Bulldog Revolver manufactured by Martín Bascarán. 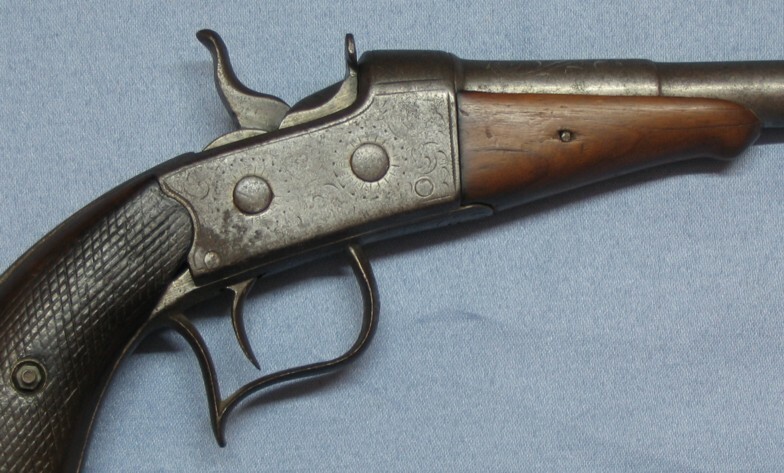 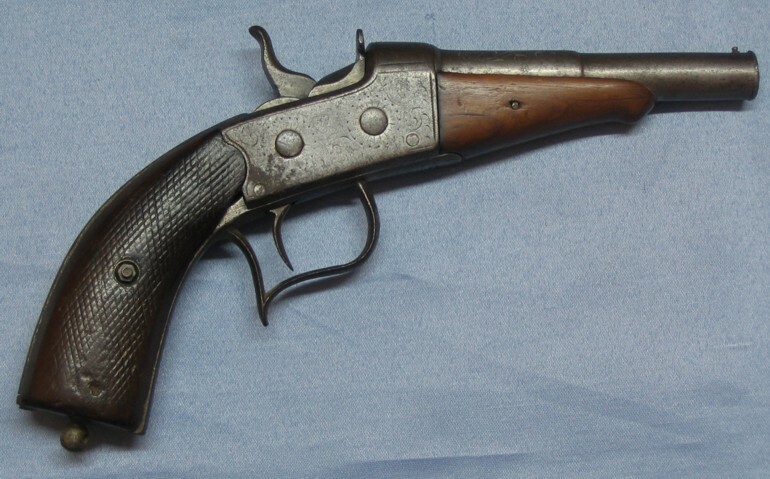 Calibre 500 Webley, barrel 4 7/8 inches, overall length 9 3/4 inches. 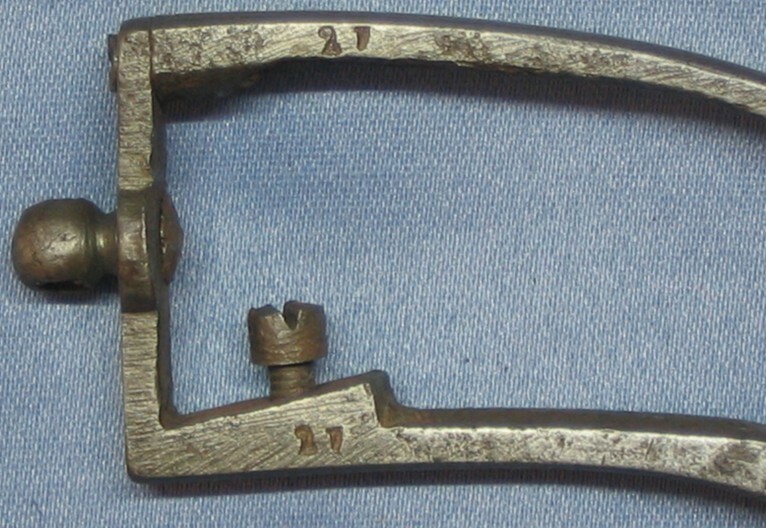 Spanish Rolling Block Pistol, cal. 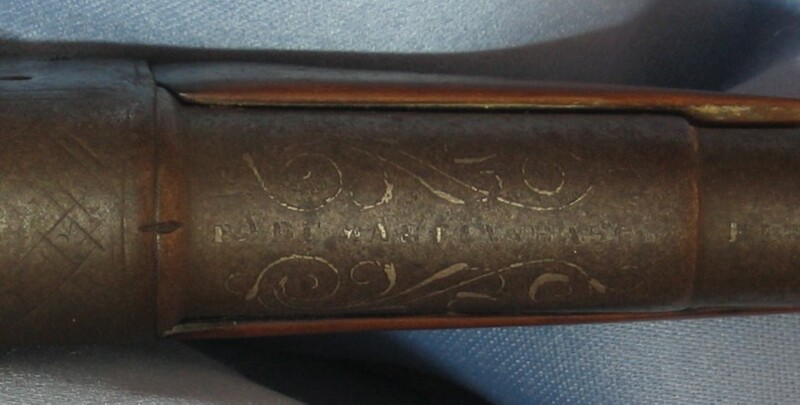 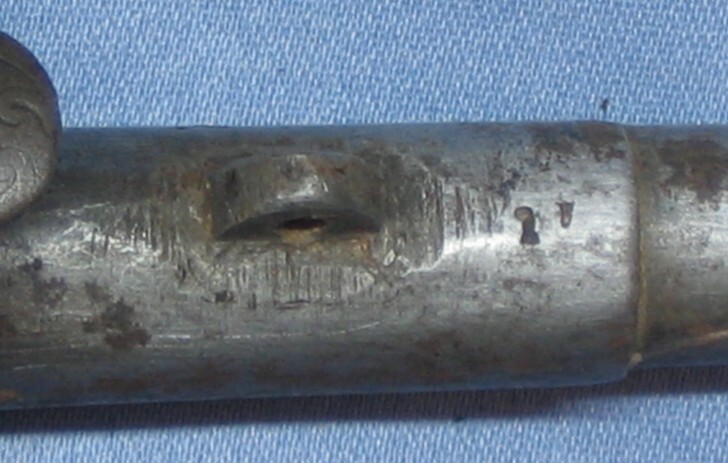 45, serial #27, barrel 4 inches, overall length 8 1/2 inches, on frame inside of right grip stamped 27 , marked on top of barrel "FA DE MARTIN BASCARAN EIBAR" (part legible FA DE MARTIN BASC and part of EIBAR), minor engraving on action and on barrel - engraving on barrel still has some gold leaf.